The ADJ UV COB Cannon is part of a continuing pursuit to create high quality intelligent lighting. 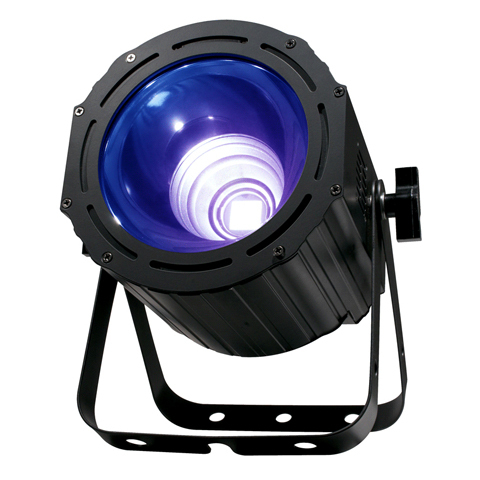 The UV COB Cannon is a DMX intelligent, high powered LED par fixture. This fixture can be used in a stand alone mode or connected in a Master/Slave configuration. This wash has six operating modes: Sound Active mode, Auto mode, Fade mode, White Preset Mode (Color Temperature mode) and DMX control mode.